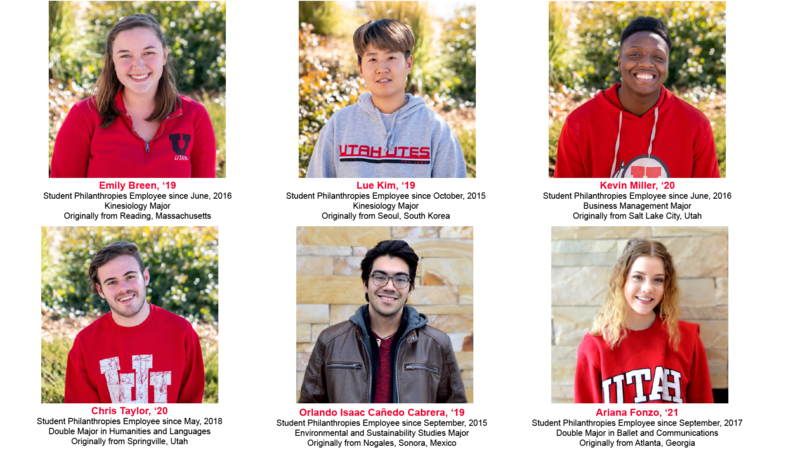 We are University of Utah students showing our school pride by sharing updates of the university with alumni, parents, and friends while giving them the opportunity to give back to the U. 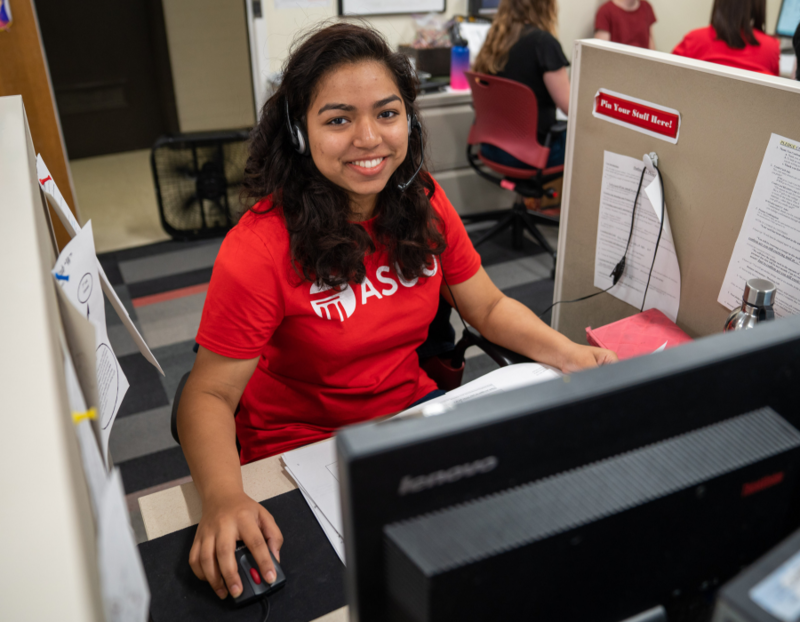 Our students call to update records (Update Your Information Here), build relationships, share recent campus news and request philanthropic support for the U. Did you know the University of Utah only receives 10.5% of its budget from the State of Utah? While this support is appreciated, it requires the university to rely heavily on other sources of revenue to support our operations. With the addition of funds received from tuition, grants, and private gifts, the U is able to offer a high quality education with distinguished faculty and a signature student experience that is anchored by a beautiful campus in Salt Lake City. If you receive a call from a student, take the opportunity to find out more! Interested in donating to the University? 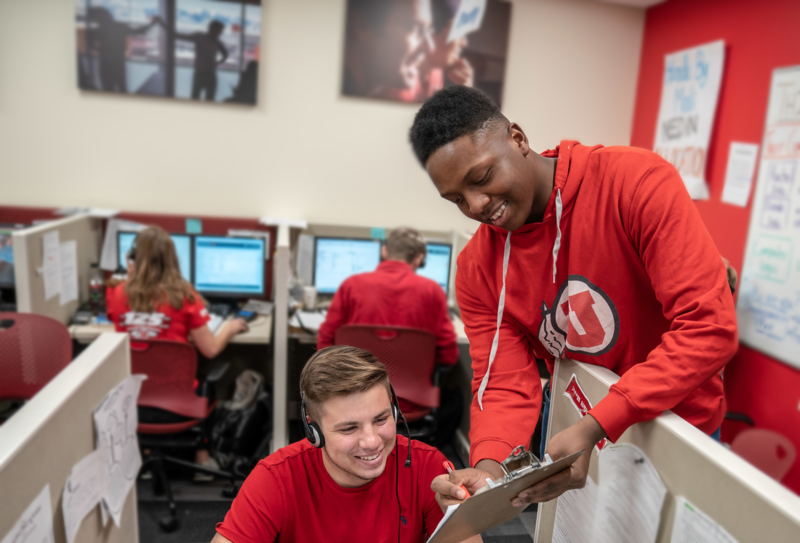 Located at the Development Office on the University of Utah campus, our Student Philanthropy team consists of a group of 50-60 students who make phone calls to alumni and friends of the U. With shifts running Monday -Thursday from 5-9, Friday 1-6 and Saturday 10-3, students have the flexibility to choose their own work schedule so school schedules don’t interfere. Student callers work a minimum of 13 hours a week so that they have the time to concentrate on their schoolwork. You don’t need any prior work experience to join the team. We are looking for enthusiastic students who love the U and want to connect with alumni about the great things happening on campus. Students must be comfortable asking for money over the phone. Apply by emailing UPhonathon@Utah.edu today!